Comprehensive Prep for ACT Math. Every year, students pay $1,000 and more to test prep companies to prepare for the math section of the ACT. Now you can get the same preparation in a book. Although the ACT math section is difficult, it is very learnable. ACT Math Prep Course presents a thorough analysis of ACT math and introduces numerous analytic techniques that will help you immensely, not only on the ACT but in college as well. Many of the exercises in this book are designed to prompt you to think like an ACT test writer. For example, you will find Duals. These are pairs of similar ACT math problems in which only one property is different. They illustrate the process of creating ACT questions. 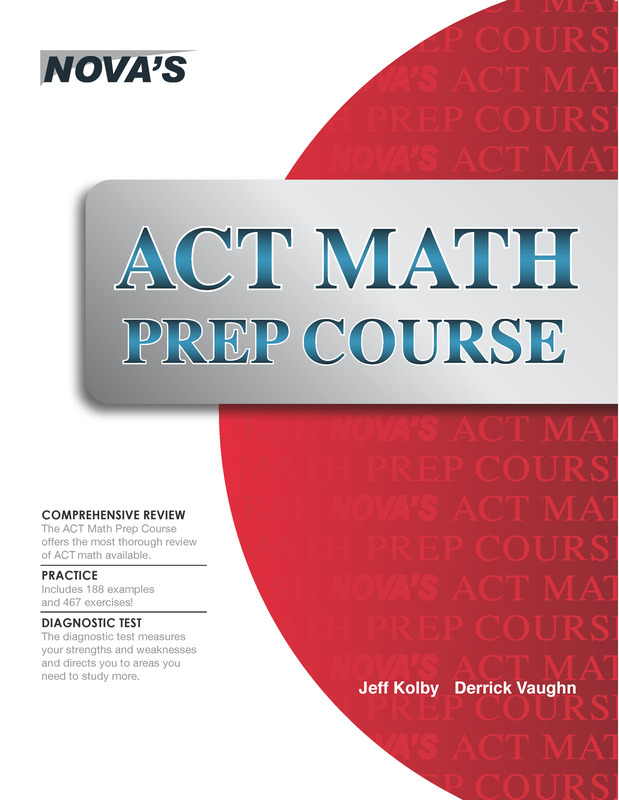 * Comprehensive Review: Twenty-seven chapters provide complete review of ACT math. * Practice: Includes 188 examples and more than 400 exercises! * Diagnostic Test: The diagnostic test measures your strengths and weaknesses and directs you to areas you need to study more. * Performance: If your target is a top score, this is the book!